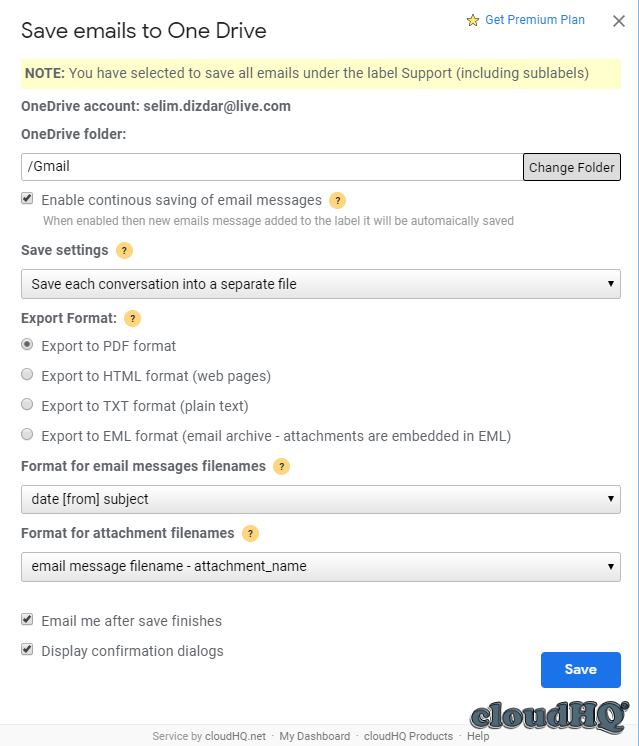 NOTE: If you want to save a single email to OneDrive, please check the following support note: How to save a single email or conversaion to your OneDrive. 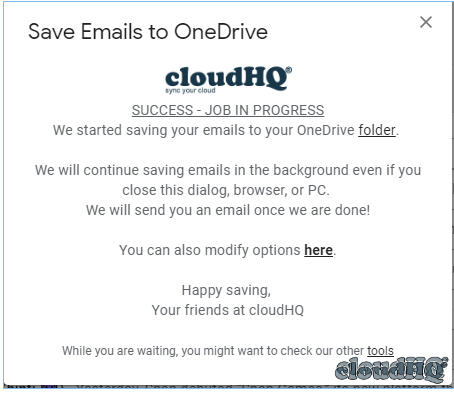 cloudHQ Save emails to OneDrive can save and convert to PDF all emails in a label and sub-labels to OneDrive folder. 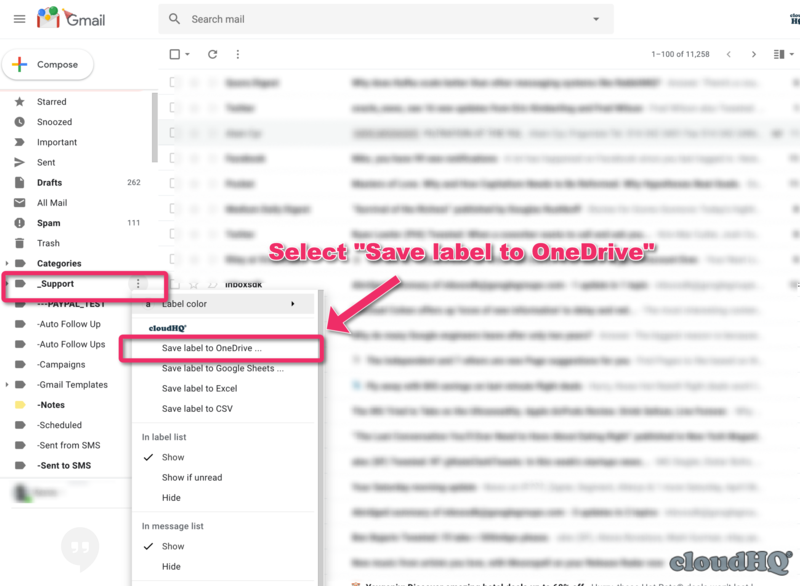 For example, if you have a label called “Support” and that label has sub-labels “Open tickets” and “Closed tickets”, then you can with one click save all emails in labels “Support”, “Support/Open tickets” and “Support/Closed tickets” to a OneDrive folder called “Support”. 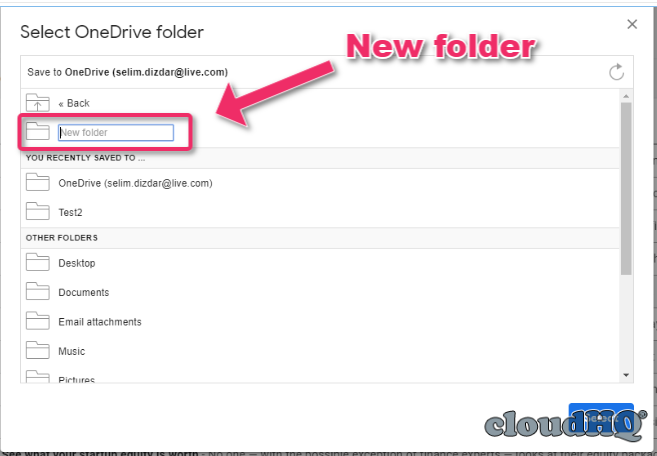 The process of saving emails to your OneDrive is started. 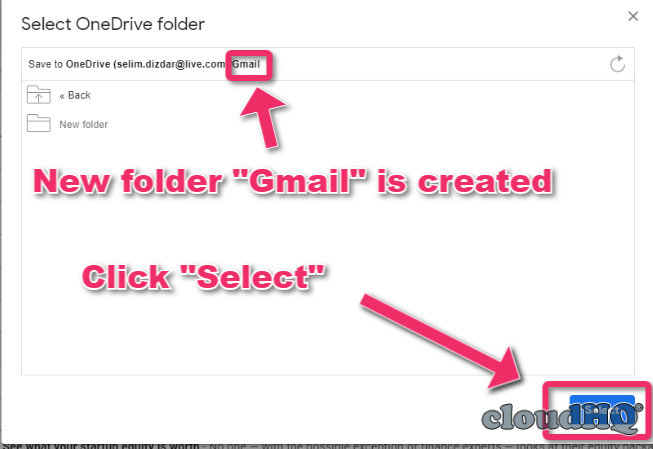 We will continue saving emails in the background even if you close this dialog, browser, or PC. 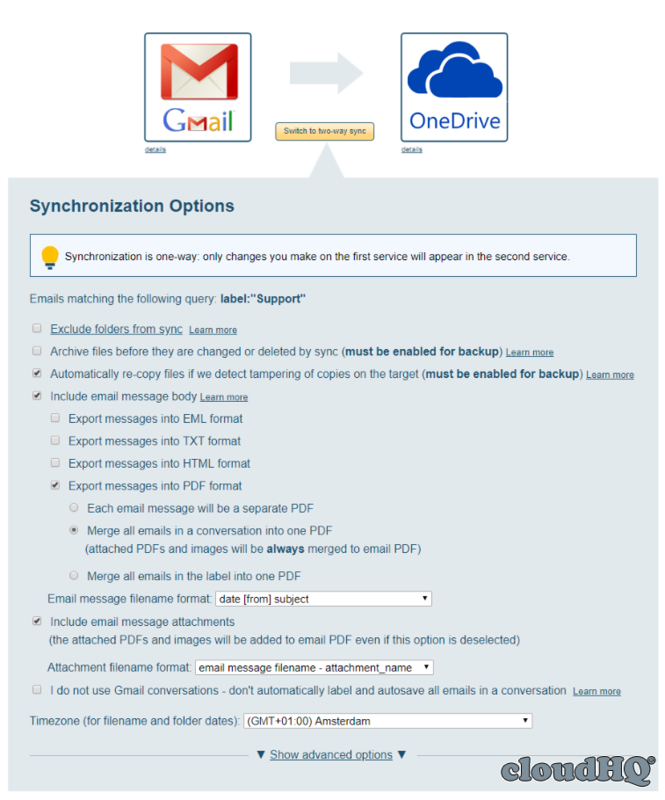 We will send you an email when the background process is completed.